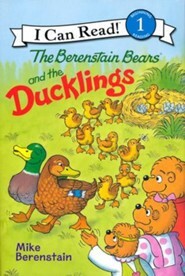 In The Berenstain Bears and the Ducklings, the Bear Family helps Farmer Ben with his chores and a pair of ducks mistakenly follows them home. But what comes next is a huge surprise for everyone---Brother and Sister find a nest filled with eggs! 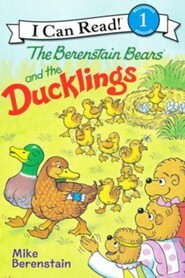 Join the family as they prepare a warm welcoming for the newborn ducklings. This Level 1 Beginning Reader is perfect for new readers with short sentences, familiar words, and simple concepts. Hardcover edition. I'm the author/artist and I want to review The Berenstain Bears and the Ducklings, hardcover.